Almost without fail, someone in our training sessions says they do not see the importance of budgeting and that they earn too little to budget. My response is always the same: Budgeting is one of the important keys to financial success. Many people are often put off by the simple term “budget”. They associate it with restrictions and hassle. They often feel that they are too poor to budget or have other excuses. However, budgeting can help you save money and allow you to have more money to spend by making the most of your money. Your budgeting style can determine how successful you are at financial planning. 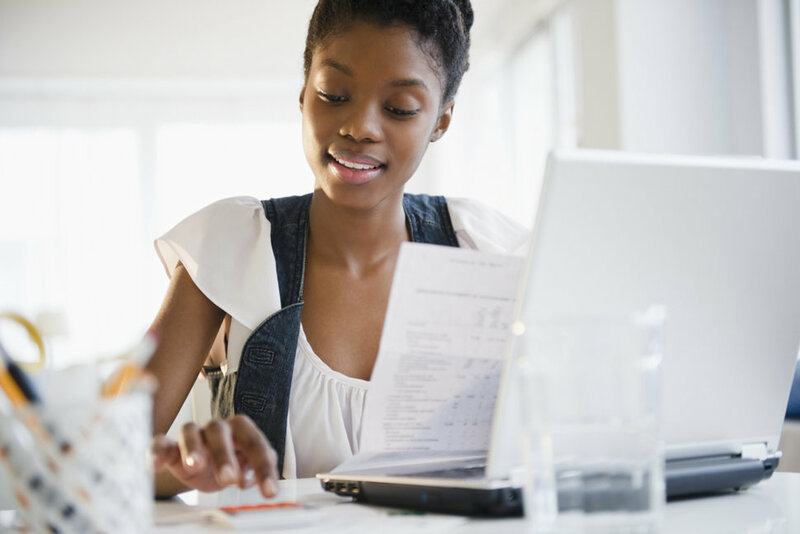 Here are some reasons that will help you look at budgeting in a new light and start budgeting. Click here to watch on Youtube. Budgeting Stops Overspending Most people who do not have a budget end up overspending each month. This limits their spending power in the future as more and more of their incomes could be debt payments. If you are worried that budgeting will restrict your spending, consider what it would feel like to have the majority of your paycheck be made towards credit card and loan payments. The stress of finding a way to pay for the rising cost of food, school fees, shelter and so on can be astronomical when most of your paycheck is already committed to debt repayments. Budgeting Helps You Reach Your Goals A budget is a plan that helps you prioritize your spending. With a budget, you can allocate your money on the things that are most important to you. This may be getting out of debt, saving up for a home or working on starting your own business. Your budget creates a plan and lets you track it to make sure you are reaching your goals. Click here to watch on Youtube. Budgeting Helps You Save Money People who do not have a budget tend to save less money than people who do. This is because when you budget, you assign your money to do certain things. This allows you to automatically put money into a savings or investment account each month. A budget can help you stop dipping into your savings each month. As you do this, you will begin to build wealth. This will give you true financial freedom in the future. Budgeting Helps You Stop Worrying Most people fear of the restrictions that having a budget puts on them. However you can decide how much you spend in each category. So if you want to put more of your money towards your leisure activities, as long as you are saving and meeting your other needs, you should not feel bad about that. However once you set up limits, you need to stick to them! If you aren’t doing that, you may have to address this weakness. Budgeting is not about limiting the fun in your life, but opening up opportunities and having money in order to have more fun. The key is that you have to remember to include these fun categories in your budget. Budgeting Helps You to be Flexible Budgeting need not to be rigid and can be flexible. You can move money between categories as you need to throughout the month. Generally, you should restrict yourself from touching the money you have set aside for savings, but you can adjust the amount you spend on each category as you go. This is another way that you can keep yourself from overspending. It also allows you to recognize issues and adjust so that you do not end up penniless at the end of every month. Budgeting Puts You in Control If you feel like you are out of control of your money and constantly wondering where it went or what happened to it, budgeting can put you back in control. It allows you to prioritize your spending, track how you are doing and realize when you need to stop. It puts a solid plan into place that is easy to flow and gives you the chance to plan and prepare for the future. It is the biggest tool you have to change your financial future and it gives you the power to make changes starting today. Budgeting should be simple. You can simplify the process by using percentages of your income to cover your set expenses, savings amounts and your spending money. Then you simply track the money as you spend it. This means there are fewer categories and a lot more flexibility. Click here to watch on Youtube. Wow this is an eye opener to me. I will put in practice immediately.